ORLANDO, Fla. (January 11, 2018) – Tantalize the senses at Christner’s Prime Steak & Lobster during Orlando’s most thrilling dinner show. Enjoy the award-winning flavors of a four-course menu while Kostya Kimlat and his team of See Magic Live magicians tease the eyes with an interactive live performance. 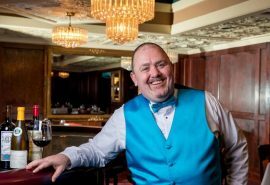 Each show features performances by three magicians as guests dine on fresh seafood, Christner’s signature USDA Prime steaks and house-made desserts. Because of the sophisticated nature of the evening, the show is best suited for adults, teenagers and children ages 10 and older. Save the date for upcoming dinner shows on February 17, February 24, March 24, April 28 and May 18 and purchase tickets at MagicShowOrlando.com. Additionally, catch a sneak peek of the show each Saturday night as the magicians of See Magic Live perform sleight-of-hand tableside from 7 to 9 p.m. You can also reserve a magic dinner show for your own private party, company meeting or celebration for groups of 10 to 50 people. Christner’s Prime Steak & Lobster, located at 729 Lee Road, has been a favorite of the Orlando, Fla. community for 25 years. Designed to reflect the Christner family’s rich history of exceptional quality and meticulous service, the award-winning menu features only the finest USDA Prime steaks, fresh seafood and outstanding wine and spirits. Boasting two unique lounges, nine private dining rooms and an intimate main dining room, guests enjoy an elegant fine dining experience complemented by celebrated live entertainment. A popular venue for holiday parties, wedding receptions, business meetings, birthday celebrations and special occasions, Christner’s Prime Steak & Lobster accepts reservations at ChristnersPrimeSteakAndLobster.com or 407.645.4443. Based in Orlando, See Magic Live provides trained and skilled magicians for corporate and social events across the United States. 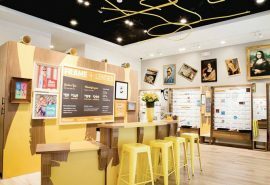 The company gained notoriety for partnering for six years with the Orlando Magic NBA team, providing magical entertainment for its fans, on and off the court. The team’s magicians perform all types of magic, including close-up interactive magic and stage shows, and they frequently give back to their local community by performing at many charity benefits throughout the year. 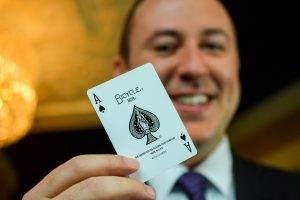 See Magic Live was founded by master magician, Kostya Kimlat, who fooled the legendary duo, Penn & Teller, on their hit TV show, “Fool Us.” In addition to managing See Magic Live, Kimlat now travels the country, improving companies’ customer service by teaching their employees to Think Like A Magician™.